My second post on a healthy and filling diet food. Name, Kabuli Chana or Chickpea and the one recipe that comes to your mind quickly is Chole. Apart from Chole one can make a lot of recipes like Falafel, Hummus etc. and is commonly used in Salads. I generally make this as a salad and have a big bowl of it as my dinner. 1 bowl of this is enough and will keep you full. I simply mix it with onion, green chillies, sonth (Imli Chutney), Lemon juice, salt and Corainder. For those who do not eat onion, one can add cucumber, tomatoes. This is same to my Kala Chana Salad recipe. Soak the Chana for 6-8 hours. The longer the better. Pressure cook it for 3 whistles or as per your cooker settings. Mix the boiled Kabuli chana, sonth, green chilly, onion, coriander, lemon juice, chaat masala and salt. 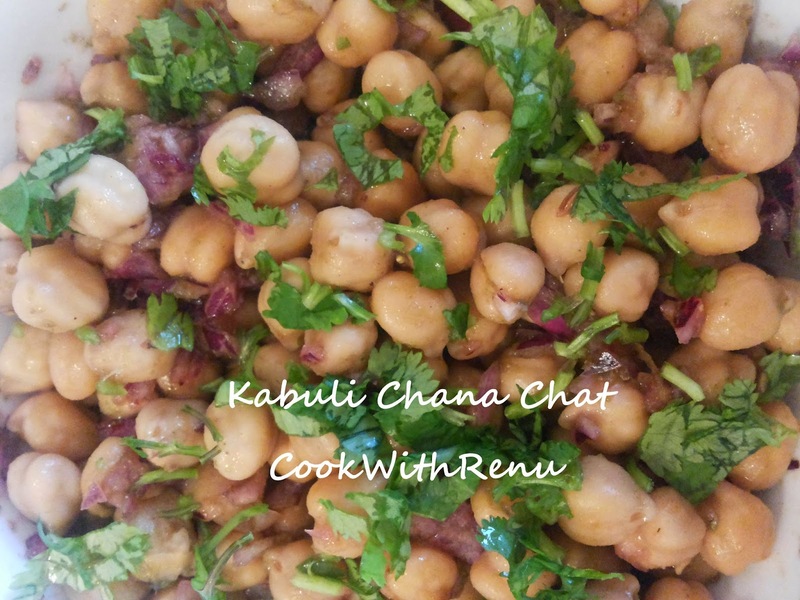 Note: If Kabuli chana is not soaked 6-8 hours, soak it in hot water for 2 hours minimum. It will swell up. I have done this many a times.